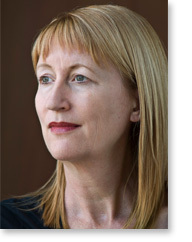 Sue Reidy is an Auckland-based novelist, poet and freelance corporate writer. Two of her novels have been published internationally (The Visitation, Four Ways to be a Woman). Her collection of short stories (Modettes) was published in New Zealand. She is a former Buddle Findlay Sargeson literary fellow and a former BNZ Katherine Mansfield short story winner.